Boiler installation, servicing and repairs of all sizes and makes in Surrey, Sussex and London. Our friendly, qualified engineers come highly recommended by our customers and we are fully Worcester Bosch and Gas Safe accredited. At Heating Homes we provide Gas Safe Boiler Installation, Servicing and Repairs services to get your home warm and cosy again in no time at all. Our friendly team of engineers cover all of Surrey, Sussex and London and have a Checkatrade score of 9.76 out of 10! 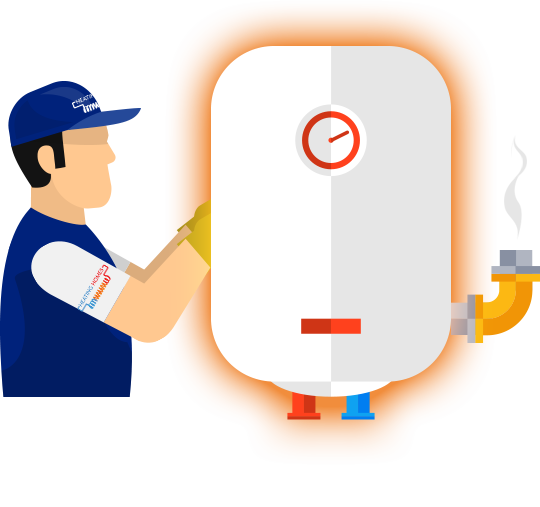 If your boiler has broken down or you are having issues with your central heating we can help identify and repair any issues for you. We can also install or new boilers or replace boilers of any make. All our work is carried out by highly qualified, Gas Safe registered engineers so you can be fully assured that boiler servicing and repairs are carried out safely and to the highest standards. At Heating Homes we recommend an annual boiler service to help ensure that any potential issues are identified and to minimise the chance of boiler breakdowns. When you have a regular boiler service you will be helping to stop small issues turning into bigger ones by keeping your boiler fit and healthy. Our engineers provide a high quality and reliable service throughout the South East. We have an expert team of engineers who are able to service and repair boilers of all types and sizes. We have worked on many different systems and have experience in working with a wide range of boiler manufacturers including Worcester Bosch, Ariston, Valiant, Baxi and many others. From combination boilers in your home to large commercial systems in offices and schools our team can help you. Heating Homes are a Worcester Bosch Accredited Installer. cover Surrey, Sussex and London.